Make your base right in the heart of the lively and historical city of Oxford with this modern, centrally located and welcoming hostel. Stay right in the middle of this historic, vibrant and active university City. 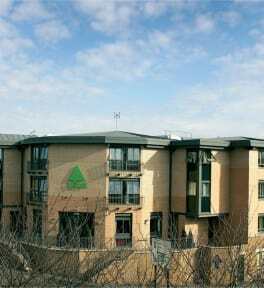 YHA Oxford is a modern purpose-built property next to the train station. Visit all the famous Oxford colleges, the Ashmolean Museum, or take a trip to Bleinheim Palace. Enjoy great food in our licensed restaurant or relax in our sunny garden with a latte and a cake from the caf bar. At YHA Oxford we strive to cater for everybody. We have three accessible bedrooms on the ground floor with accessible en-suite bathrooms. Please note, this is a city centre location, therefore there is the possibility of slight noise disruption.